A weekly video game podcast for the nerd-inclined! 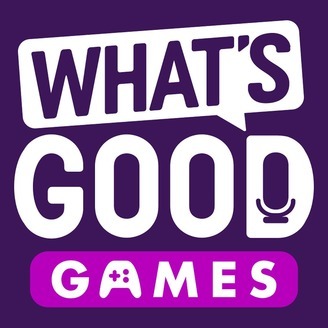 Join Andrea Rene, Brittney Brombacher and Kristine Steimer as they analyze the week's video game news, give hands-on impressions of upcoming titles, discuss your questions, and have a little bit of "off topic" conversation. Also, what's a gaming podcast without some alcohol from time to time? 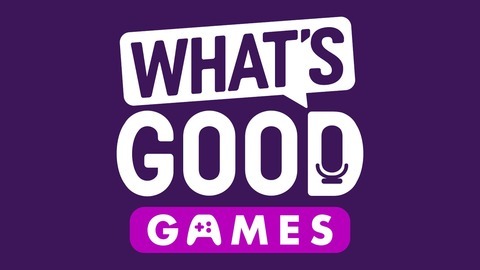 Thank you to Phlur, MeUndies, and Calm for sponsoring this episode of What's Good Games! Go to http://phlur.com today and use promo code WHATSGOOD to get 20% off your custom Phlur sample set! This week Steimer and Andrea have so much news to discuss, they break it into 2 segments! First, they start with the new details on the next generation for PlayStation were fondly calling PS5, though no official name was given. Then they dive into the new Xbox One S All-Digital edition and how it's a bit of a disappointment. In the second block, they chat about the reveal of Star Wars Jedi: Fallen Order, Ubisoft donating funds to Notre Dame, The Division 2's raid delay, and more. Lastly, Andrea chats about her hands-on time with Dreams early access and Steimer talks about her continued adventures in The Division 2. FTC Disclaimer: Early Access to Dreams on PS4 was provided by Sony Interactive Entertainment. 3:15 - Andrea is hosting at GamesBeat Summit 2019 next week! 16:21 - What about cross-platform games from PS4 to PS5? 23:23 - Do you think the next-gen system will have a bigger box so it doesn't overheat? 26:20 - How much will the PS5 cost? 29:58 - Will Sony change the Dualshock controller for PS5? 51:15 - Remember when Xbox One was revealed and people were mad? 1:16:15 - Do you think Assassin's Creed Odyssey post-launch content strategy is enough to keep players interested? 1:50:30 - We played the Division 2 together!